The Student Advisory Board of the Services for Students with Disabilities (SSD) office hosted the fifth annual SpeakABLE event on March 22, 2017. 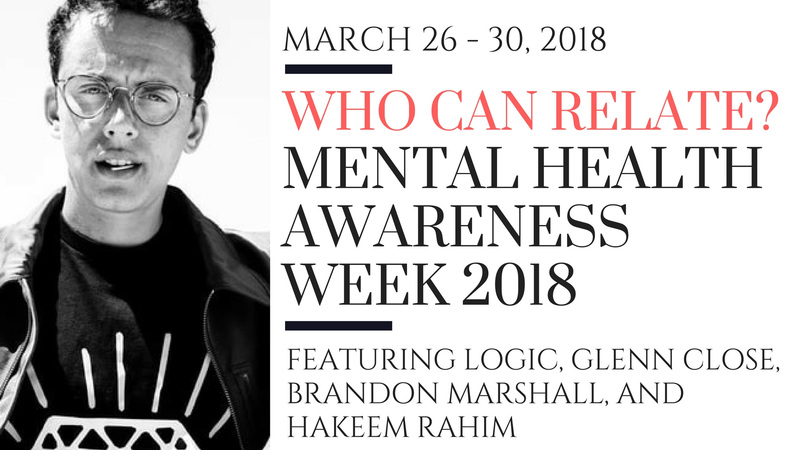 U-M has teamed up with Grammy nominated artist, LOGIC, legendary stage and screen star, Glenn Close and BringChangetoMind, NFL Pro-Bowl WR, Brandon Marshall and PROJECT375 for an exciting Mental Health Awareness event! The Health Experiences and Expressions Speak-out is seeking stories from across the health spectrum to showcase the hardships students at the University of Michigan deal with on a day to day basis. Stories may include, but are not limited to: mental health experiences, chronic illnesses, drug abuse/addiction, sexual assault and harassment, and any other stories that you feel need to be heard. The Speak-out is to be held Wednesday, March 28th from 6:00-8:00 p.m. in the Rogel Ballroom of the Union. If you are interested in performing or attending, please fill out this form. Graduate Student Programs' (GSP) and Services for Students with Disabilities (SSD) are hosting an inaugural networking luncheon on Monday, April 9th, 2018 as part of Graduate Student Appreciation Week. The event will take place in the Assembly Hall (4th floor Rackham) and will be from 12-1:30. The luncheon will allow time for networking as well as allow GSP and SSD to get your input regarding disability related issues for graduate students on campus. 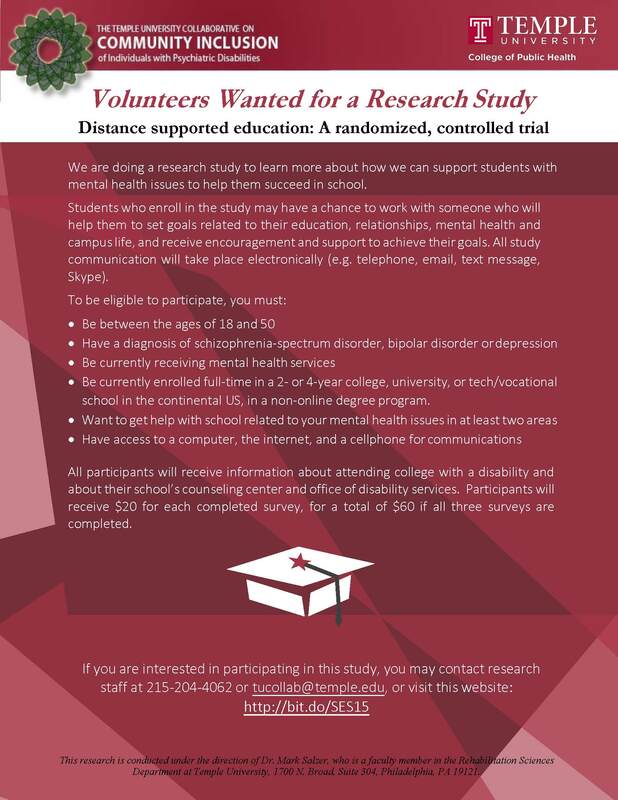 We are doing a research study to learn more about how we can support students with mental health issues to help them succeed in school. Students who enroll in the study may have a chance to work with someone who will help them to set goals related to their education, relationships, mental health and campus life, and receive encouragement and support to achieve their goals. All study communication will take place electronically (e.g. telephone, email, text message, Skype).